In recent years, smart phones have become popular equipment and new hardware features are being constantly released. In turn, mobile application development has become a very popular family of products. GIS.FCU developed an intuitive user interface and designed fluent operating function for mobile multi-device platform technology aimed at the research of spatial information so that decision-makers can access the latest data on the go. By using internal functions predefined in cell phone OSes, we developed more creative functional technology, such as an electronic compass, gyroscope and lenses to support an AR application. 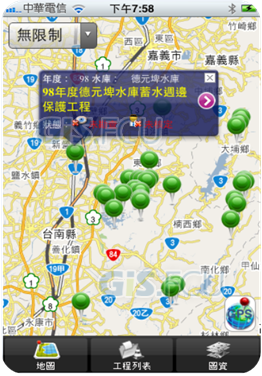 To fit the latest mobile operating systems (including iOS, Android and Windows Phone) and clients’ request, GIS. 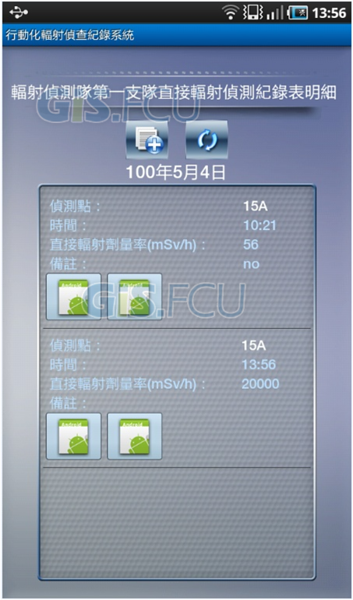 FCU will continue to develop different modes of mobile-devices and systems. Mobile platform services have included decision-maker support, business management, resource surveying, inspection, living information and convenient services. 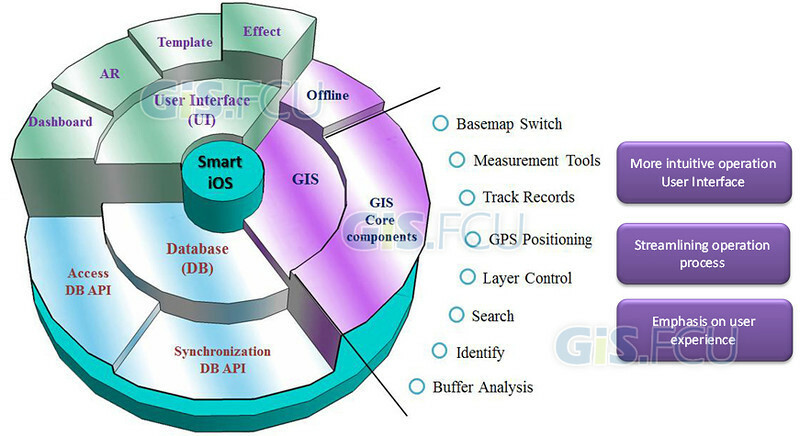 GIS.FCU has different solutions for iOS, Android and Windows Phone – integrating mobile platform technology to support decision-making means easily getting the latest report and executing progress analysis. The platform is able to provide the site inspector with records, returns and queries. In addition, GIS.FCU has developed a more exclusive offline map platform, with which users are able to get spatial information anytime and anywhere. I2C: To make the best use of the system, to reach information synchronization and foster decision-making management. Integrate all real-time data; provide real-time synchronization of information to the remote management system thereby improving the work flow and making the best of project management. To merge a variety of mobile devices and supporting all related development. 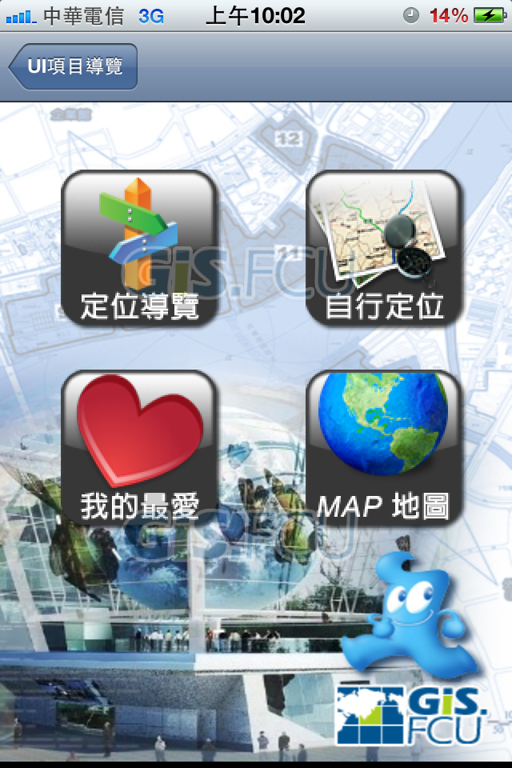 GIS.FCU can develop a personal mobile application to fit different types of projects. 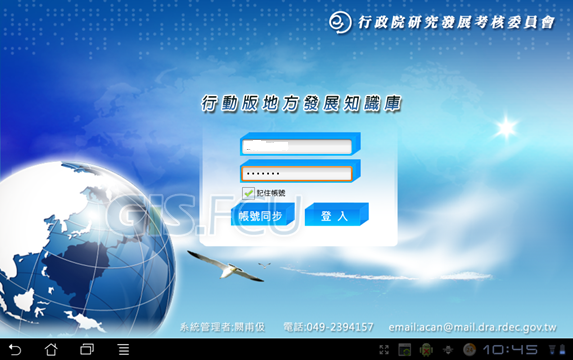 Users can get the latest information anytime and anywhere either using a smart phone or tablet PC. The mobile platform includes five different components such as map control, image control, user interface control, remote data updating and database access to fit a variety of needs and allow for customization. Through the five components, the mobile system can remotely manage data, reduce the wasting of resources and increase work efficiency. 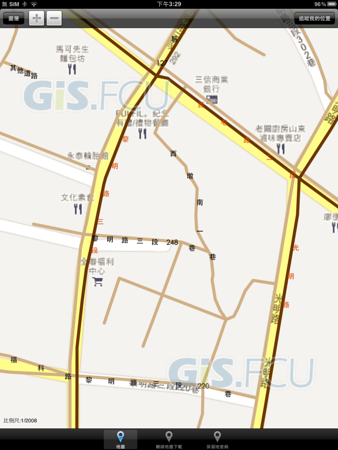 This function can satisfy most GIS application needs and provide a better map operating experience. 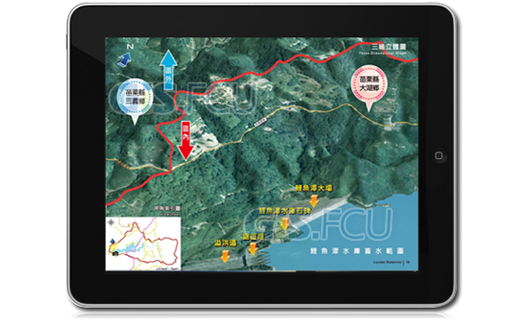 With the MBTile format, users can view the map offline, and provide a point, line and surface drawing. 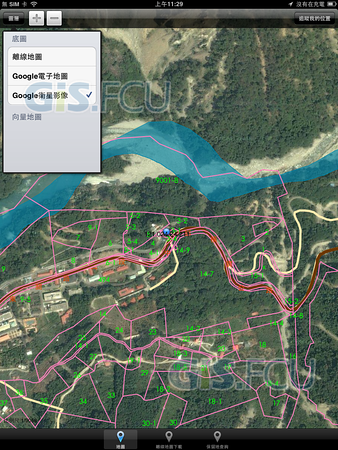 It also provides basic measurement functions and map overlaying and downloading. This function provides the camera with advanced photography features, and it can also combined with a field investigation report system which can do instant image editing right after shooting, tagging the image with useful information to make the best of integration. 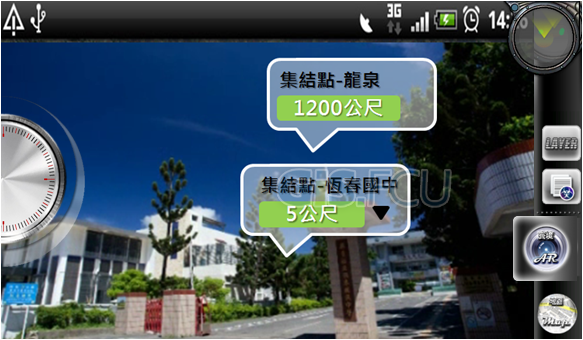 It also particularly provides a module of the augmented reality (AR), which is a method of calculating the position and angle of the camera image and adding image processing technology. The goal of this technology is to allow a framework of interaction between the real and virtual world. 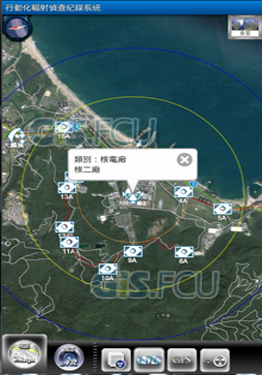 This module provides camera users with the nearby points of interest which can range from hard and fast static information to dynamic image information which can take advantage of the situations shown as the various landmarks. Different from the basic UI display, this new module can provide a brighter and more colorful interface, such as rotary menus, page switching effects (like page flipping), and so on. The purpose is to provide a better mobile system experience to the user. 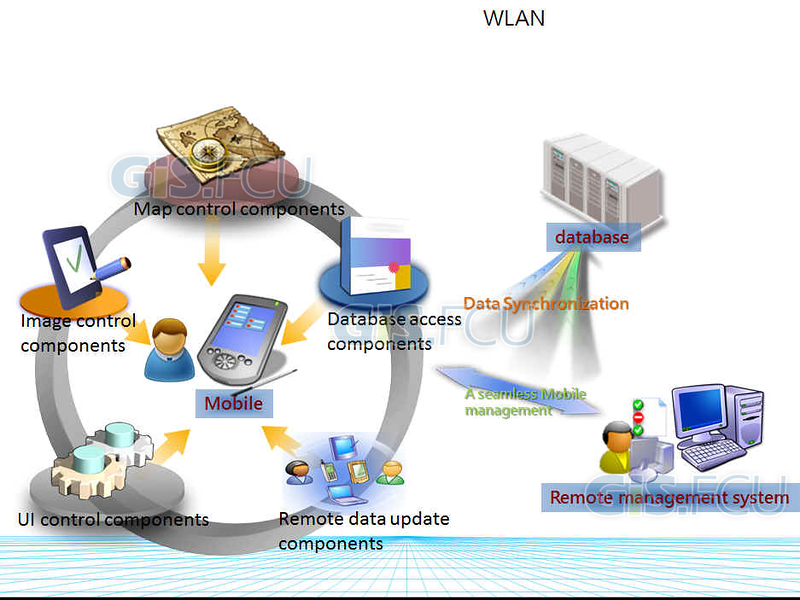 Through remote server information, the mobile devices and remote database can reach functional synchronization. The module allows mobile devices and the database server to exchange information and provides seven major synchronization functions by using XML and JSON as a transmission medium. These include identity verification, downloading files and SQL execution, allowing mobile devices to remotely reach fast and effective synchronization. On a mobile device equipped with the database, the SQLite-tailored database is not only compatible with Microsoft's database structure, but also allows very different access instructions providing faster operation than the original SQLite methodology. With the heads of government action needing to build upon the open architecture of the Android system knowledge base, through the use of the Android Tablet PC system policy-makers can keep abreast of local developments, eliminating frequent telephone contact and time trying to get a handle on decision-making anytime and anywhere. They can then quickly make correct and comprehensive decision-making. Field exploration operations are often uncertain due to a lack of sufficiently exacting data provided by the drawings and limited available information, resulting in local operating difficulties. This project is the establishment of a mobile survey system, to inspect field exploration when auxiliary judgment and query information can help plan checking and resolve doubts. The design provides authorities with important statistical feedback and competent references to assist in decision analysis. 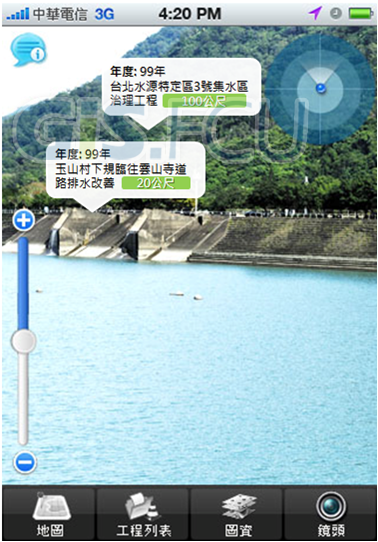 The reservation query program was developed specifically for mobile applications, providing users of portable devices in the field with a system for nature reserve exploration. With pinpoint positioning and the Google Map data services, the wireless 3G network is all one needs to take advantage of the system’s action-oriented features. 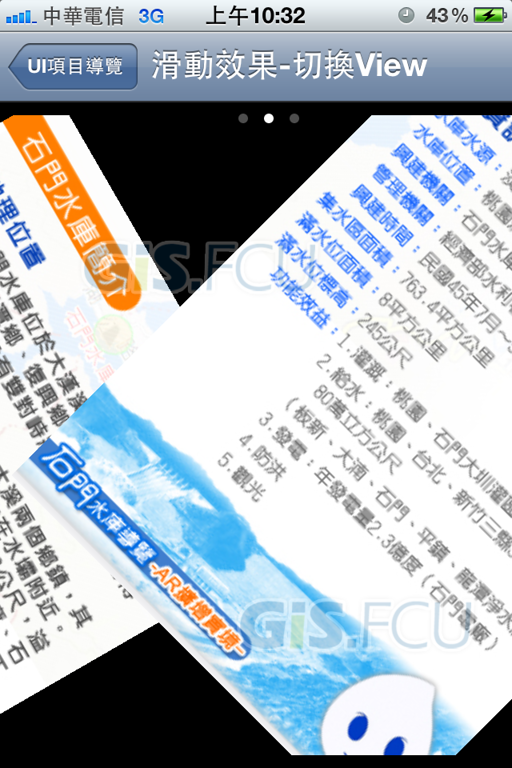 This project allows radiation and nuclear accident emergency response personnel to immediately and conveniently develop exercises and contingency operations. 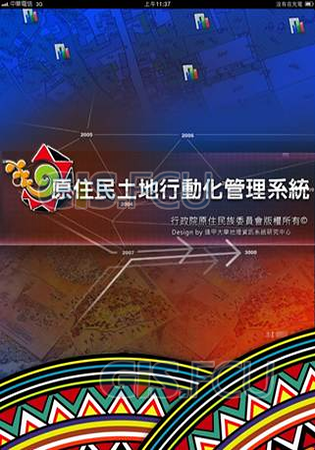 It is the development of a mobile information system for radiation detection, operating first-hand information, the implementation of the maximum effectiveness of the radiation protection operations. 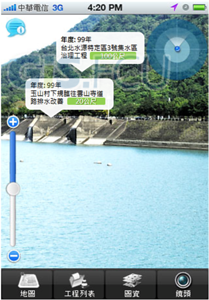 The mobile reservoir action management system for the use of GPS communications and GIS map data on iOS mobile technology provides field engineering surveying required by the spatial information for the implementation of efficient, real-time reservoir monitoring and management.